It’s a stylish and sophisticated wallet with an Animal instinct! So, you’re smart, sleek, and sophisticated… but, you’ve got a side of you that’s a wild animal acting on instinct. Sounds like you’ve got a lot in common with this Animal Jeremie wallet! Made of soft and stylish (but pretty badass) black leather, this wallet is both smart and edgy. It might not have claws, but it’s got a slightly distressed metal branding badge on its front face, just so everyone knows it’s a wild Animal! And, the scar-like debossed branding on the inside shows this wallet is a force to be reckoned with. Inside the wallet you’ve got 3 card slots, a note slot, 2 slip compartments, and a zip-up coin pocket, which is sure to hold your coins tighter than a lion holds its prey (or your cheap friend holds their cash on a night out). Just because you’ve been taken out of the wild doesn’t mean you can’t indulge your inner animal. 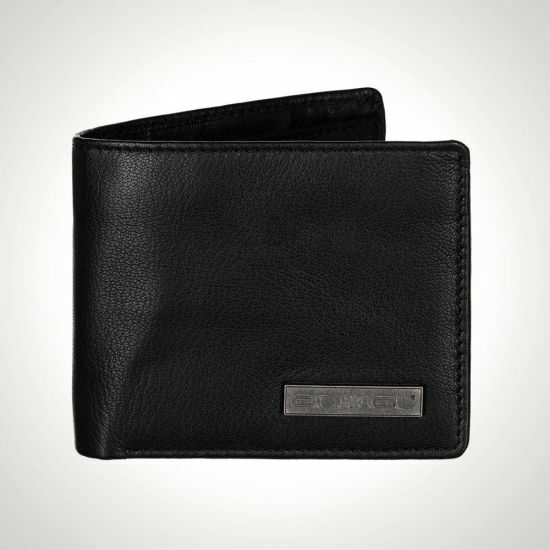 So, give into your instinct and buy this Animal Jeremie wallet in black leather today!